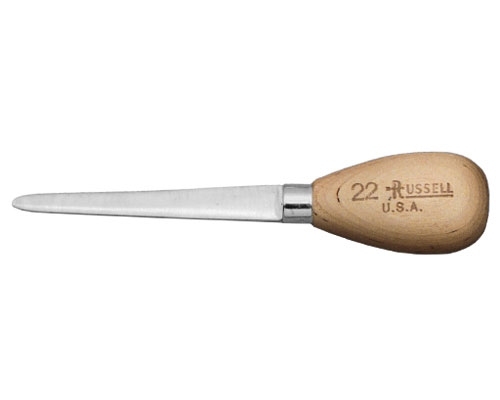 Made in the United States, Dexter Russell offers the widest range of oyster, clam and scallop knives. Choose a short, strong blade with a large handle for beach grown oysters, or a long narrow blade for curly-edged, delicate oysters. 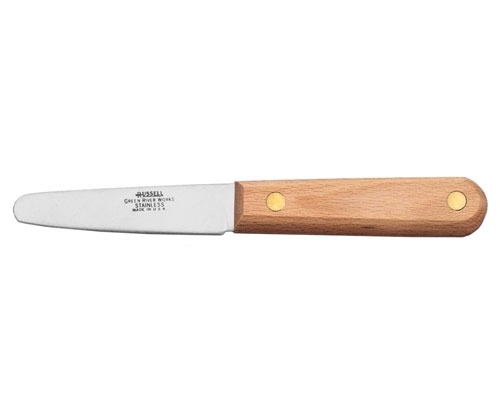 Whatever you need for opening shellfish, you should find the correct tools here at Knife Merchant. Dexter 2 in. Scallop knife is best used with bay scallops and smaller diver scallops. It has a slip-resistant grip and a tight seal from handle to blade which affords it the NSF certification. The Dexter 3 in. Clam Knife knife is a necessity when shucking small sized clams. Using the Clam knife allows you to open the clam shell, without damaging the clam. The Dexter 4 1/2 in. 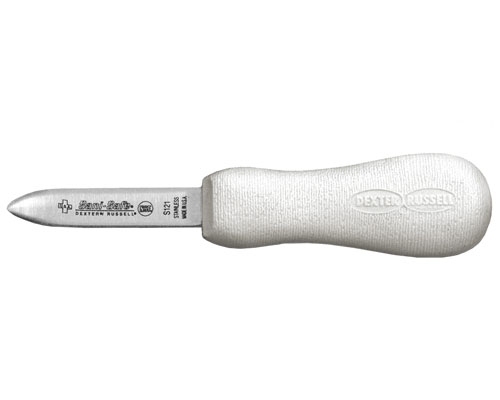 Scallop Knife is made of stain free, high carbon steel, with a slip resistant polypropylene handle. 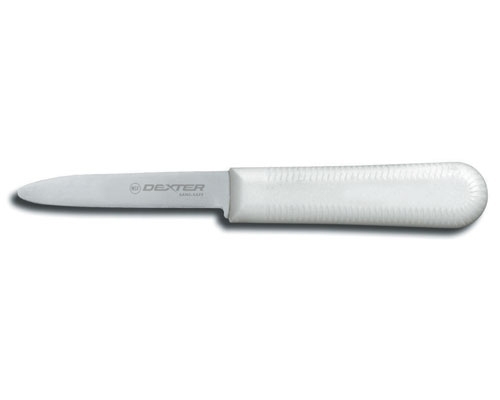 The Dexter 2 3/4 in. 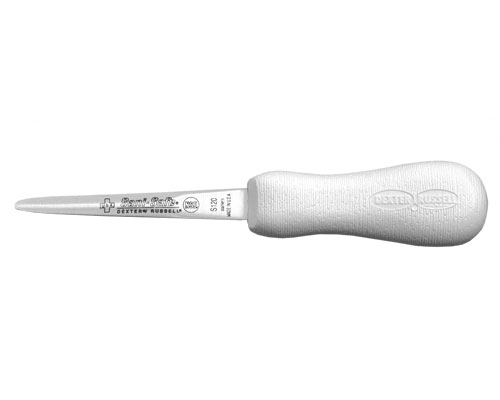 Providence Oyster Knife is great for prying open Gulf oyster shells. Made of high carbon steel, with a Grip-Tex polypropylene handle. 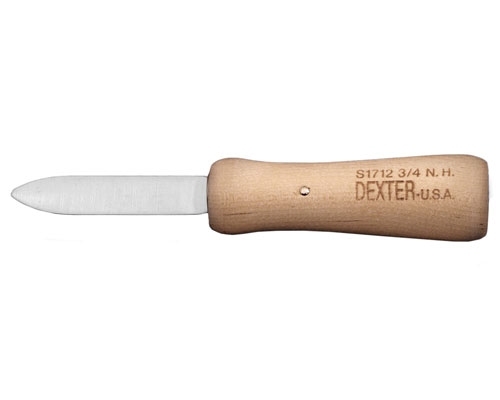 The Dexter 2 3/4 in. Carbon Steel Providence Oyster Knife is for those who prefer the warmth and feel of a real wood handle. Great for opening up Gulf oysters. 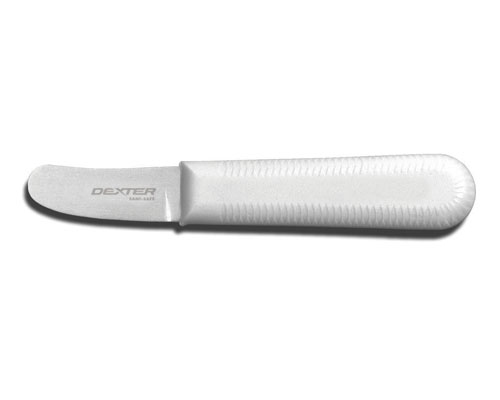 The Dexter 2 3/4 in. 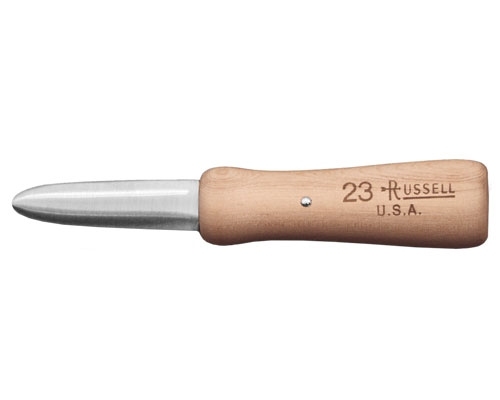 New Haven Oyster Knife has a curved tip, making opening even the most difficult oysters easy. The Dexter 2 3/4 in. 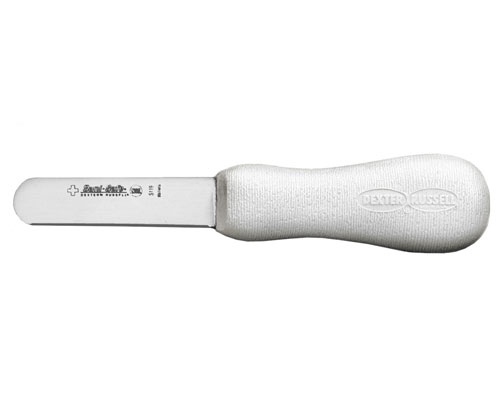 New Haven Oyster Knife has a slight curve to the tip of the blade, to make opening oysters easy. The Dexter 3 in. 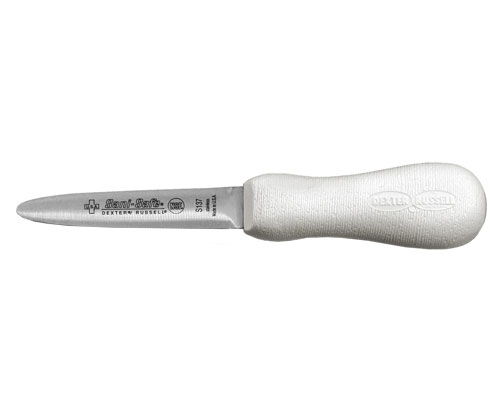 Short Boston Oyster Knife is designed with a large handle and short, thin blade, to open oysters like Kumamoto oysters. 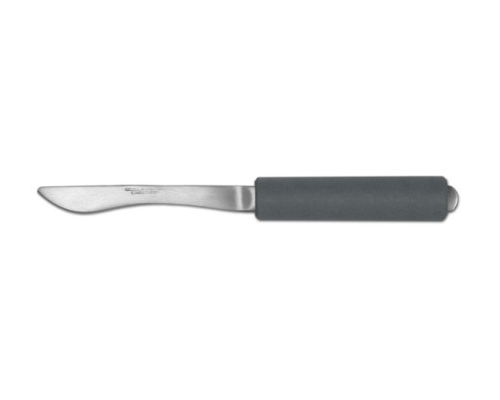 The Dexter Long Boston 4 in. Oyster Knife is used on delicate shelled oysters grown in Japanese Lantern nets, like Kumamoto or Pacific/Kumamoto hybrids. The thin tip allows you to enter the oyster with a minimal amount of chipping and breakage. The Dexter 4 in. Carbon Steel Long Boston Oyster Knife is used on delicate shelled oysters grown in Japanese Lantern nets, like Kumamoto or Pacific/Kumamoto hybrids. The thin tip allows you to enter the oyster with a minimal amount of chipping and breakage. The Dexter 4 in. 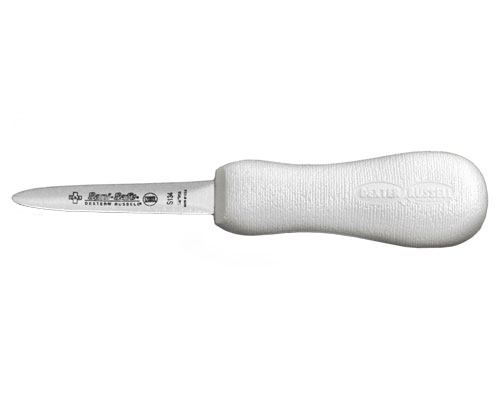 Galveston Oyster Knife has a wide, strong blade with a large handle, making opening Gulf Oysters easy. The Dexter 3 in. Wide Clam Knife knife is a necessity when shucking clams. Using the Clam knife allows you to open the clam shell, without damaging the clam. The Dexter 3 3/4 in. Clam Knife is a necessity when shucking clams. Using the Clam knife allows you to open the clam shell, without damaging the clam.